This fantastic material is the easy way to create a fine dubbed body effect or extended bodies. The colours can be blended by twisting two or more different shades together. 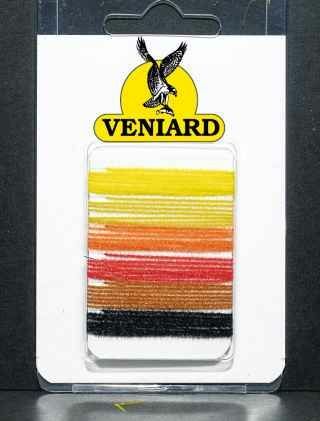 Veniard Micro Easy Dub Black. Veniard Micro Easy Dub Blue Dun. Veniard Micro Easy Dub Brown. Veniard Micro Easy Dub Chartreuse. Veniard Micro Easy Dub Cinnamon. Veniard Micro Easy Dub Claret. Veniard Micro Easy Dub Dark Olive. Veniard Micro Easy Dub Grey. Veniard Micro Easy Dub Light Olive. Veniard Micro Easy Dub Med. Olive. Veniard Micro Easy Dub Orange.